Mortgage lenders need to decide if a home buyer is what they consider to be a “good risk” and likely to make their payments on time. In order to make this critical determination, lenders will be looking closely at four different aspects of your finances. Specifically that will be your credit history, the amount of debt that you are currently obligated to pay, your income and any assets that you may own. It is the combination of these four factors that will ultimately determine if you are approved for a home loan. Each of these factors is considered equally with the other 3. Lenders use your credit score and history in an attempt to “predict” your future behavior. Usually a score of 620 is considered acceptable although different lenders have slightly different requirements in this area. Just as important is your payment history and any delinquent payments or past due balances will be examined quite closely. The number of active or open credit lines is also an important factor. Usually it’s best to have at least 2 different credit accounts that you use on a regular basis and pay on time. Too much available credit can also be a problem if the lender feels that your combined minimum payments are too high and could affect your ability to make your mortgage payment. At the very least this could lower the amount of money that the bank is willing to loan you. 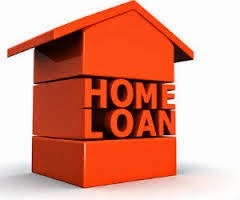 Too much debt is a definite problem when trying to obtain a home loan. The lender will need to know ALL of your current debt including car payments, credit card debt, loans of any kind (including personal, student and installment loans), alimony, child support and even money owed to the IRS. Trying to “hide” any current obligation from the lender will cause your loan to be denied immediately if discovered so it’s best to be completely honest when making an application. Obviously the lender needs to know that you make enough money to be able to make your mortgage payment every month. There is a specific formula used by lenders to determine the maximum loan amount that they will consider. Usually your combined debts (including the new house payment) cannot exceed a certain percentage of your income. You must also have a minimum 2 year working history in your current field. It doesn’t need to be with the same company but it must be the same type of work such as a carpenter, mechanic, salesperson, etc. It takes a certain amount of assets to buy a home. First of all you will need a minimal down payment on the home. If you don’t have cash for the down payment the lender will accept a cash gift given to you as an alternative but if must be a gift from someone and not a loan of any kind. Many lenders also require a minimal amount of money in a savings account of some kind but these restrictions vary depending upon the type of loan you are applying for and many other factors. Keep in mind that if one lender denies you a loan you can always apply with other lending institutions. Each one will have their own specific rules of lending and it is possible that you could be approved by some places while being denied by others. It all depends on the 4 factors above.